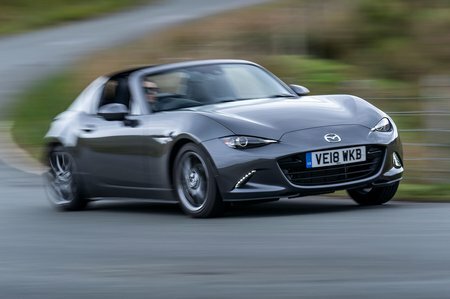 Mazda MX-5 2.0  Sport Nav+ 2dr Auto 2019 Review | What Car? Sport Nav+ trim throws in extras such as heated leather seats, automatic emergency braking, rear parking sensors, automatic lights and wipers and an upgraded stereo. Again, a model with the bigger engine gets even more, including 17in wheels, sports suspension and a limited-slip differential.